The exhibition Daniel Buren: A Fresco answers the question of how you can exhibit works of art which are connected to the place in which they were created, anywhere in the world. 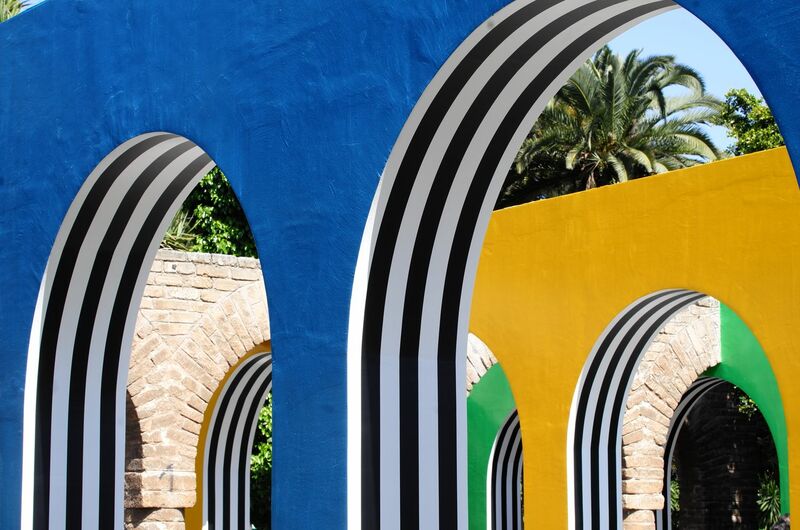 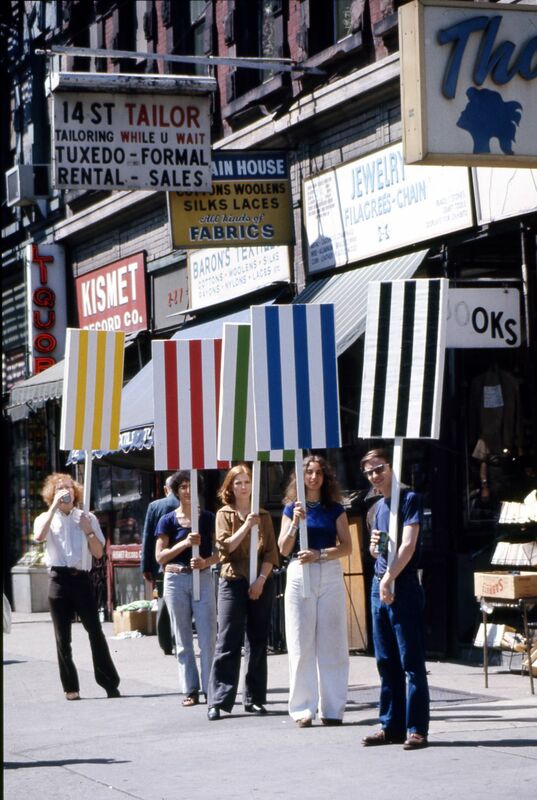 Since the 1960s the French artist Daniel Buren (°1938) has been building up an oeuvre of white and coloured strips in private homes, buildings, museums and the public space. For his exhibition at BOZAR? Daniel Buren created an installation in which his work enters into dialogue with creations by artists who have influenced his artistic career, amongst others Parreno, Malevich, Beuys, Darboven, Long and Polke. 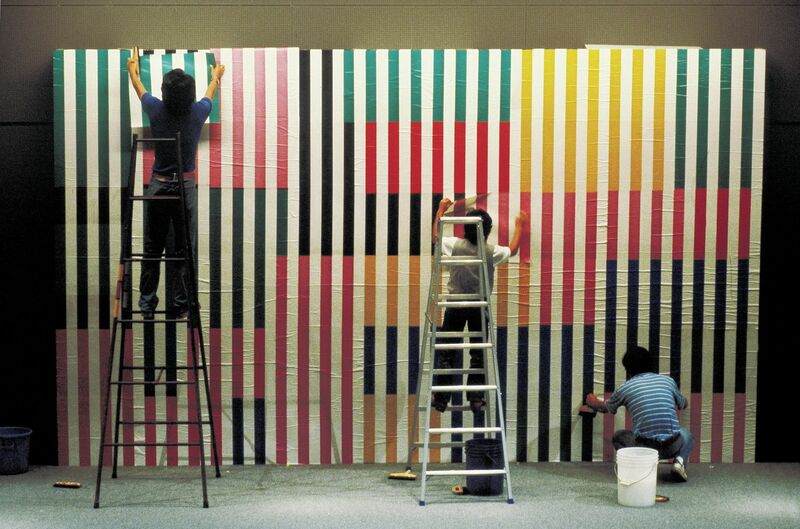 On a wall with moving images the artist’s temporary and permanent installations appear in the form of a fresco. 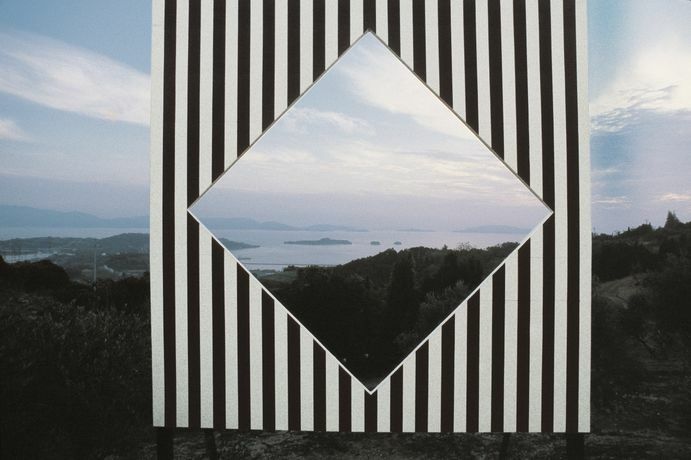 In combination with the exhibited works this wall summarises the essence of Buren’s quest for beauty.